Born in Schenectady, New York, Michael Gizzi has lived the majority of his life in Providence, Rhode Island and Lenox, Massachusetts. He earned degrees in English and Creative Writing from Brown University. He spent the next decade as a licensed arborist in southern New England. He was during this period closely associated with the poets surrounding Keith and Rosmarie Waldrop’s Burning Deck Press, which published three volumes of his poetry: Bird As (1976), Avis (1979), and Species of Intoxication (1983). Gizzi moved in the early 1980s to the Berkshires in westernmost Massachusetts, where he began teaching. For the next twenty years he coordinated many poetry readings, most notably at Simon’s Rock of Bard College and at Arrowhead, the former home of Herman Melville. These readings included among others: Robert Creeley, John Ashbery, Barbara Guest, James Schuyler, Bernadette Mayer, Clark Coolidge, Michael Palmer, Lyn Hejinian, Susan Howe, Rosmarie Waldrop, Harry Mathews, and Emmanuel Hocquard. Throughout the 1990s Gizzi edited Hard Press and lingo magazine. The press published a variety of titles, among them Bernadette Mayer’s classic Desires of Mothers to Please Others in Letters, Merrill Gilfillan’s poetic travelogue Burnt House to Paw Paw, and Trevor Winkfield’s resplendent art book Pageant. Gizzi has continued in this publishing vein with Qua Press, which he co-edits with poet Craig Watson in Jamestown, Rhode Island. Gizzi has collaborated on a number of projects with Clark Coolidge. Hard Press published their Lowell Connector: Lines and Shots from Kerouac’s Lowell in 1993. 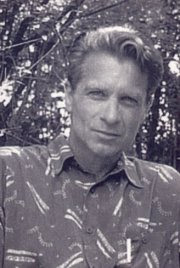 John Ashbery said of Gizzi’s No Both (1997), “Razor sharp but also rich and generously compelling, Michael Gizzi’s poetry lambastes as it celebrates, bringing us finally to a place of poignant irresolution.” He is presently a visiting lecturer at Brown University, where he coordinates the Downcity Poetry Series. Reprinted from Big Bridge, III, no. 2 (2005). Copyright ©2005 by Michael Gizzi.